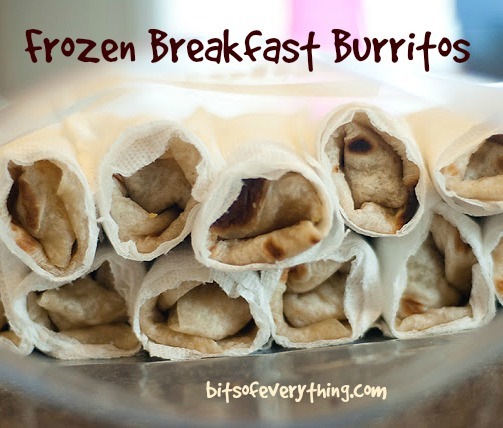 Ever since Emily told me about these breakfast burritos, I’ve been dying to make some. It’s my day to post, but it’s Emily’s idea.. so I’m gonna let her do the talking. Take it away, Em! without taking all the time! I even saw her taking these to a neighbor who just had a new baby! Such a great idea! People usually offer dinner, but what about BREAKFAST?? I Loved the idea! First, I brown up 3 lbs of sausage, drain it, and set it aside in a big bowl. Then I sauteed green peppers and onions. 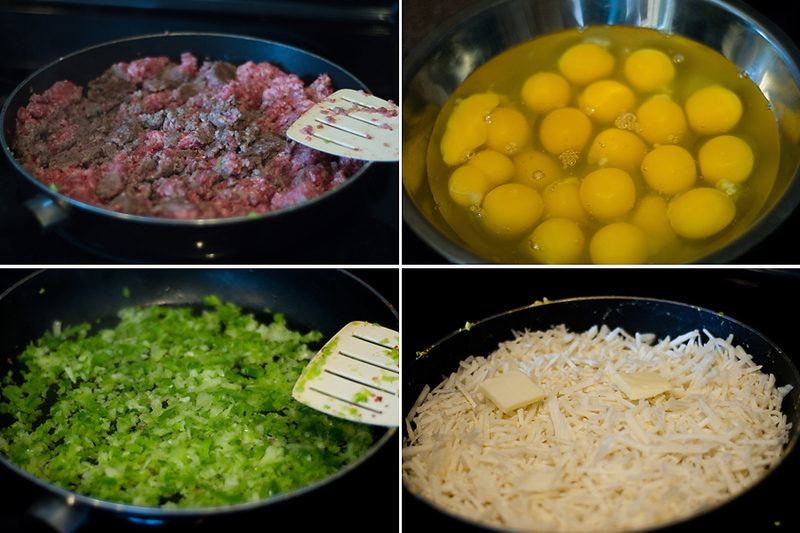 Next, I scrambled 2 dozen eggs and added them to the green peppers and onions. When that is finished add it to the big bowl of sausage. Then cook about 6 cups of hashbrowns. I’ve used dehydrated and frozen. Both work fine. Add that to the big bowl of sausage and eggs and stir it all together. 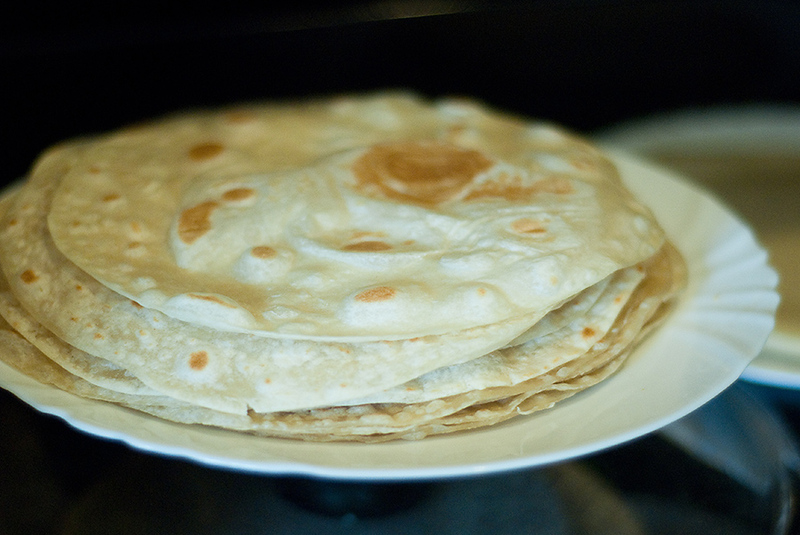 Let that all cool while you get your tortillas ready. to make them a little easier to roll. I like to use the fresh uncooked tortillas from Costco. All you have to do is cook them on both sides in a skillet. It says on the bag they cook in 60 seconds! The trickiest part though…..are you ready for this……is the rolling! Ha! It takes some practice, but it’s easy to master. Here are some pictures to show you how I do it! Oh yeah….and don’t for get the cheese! 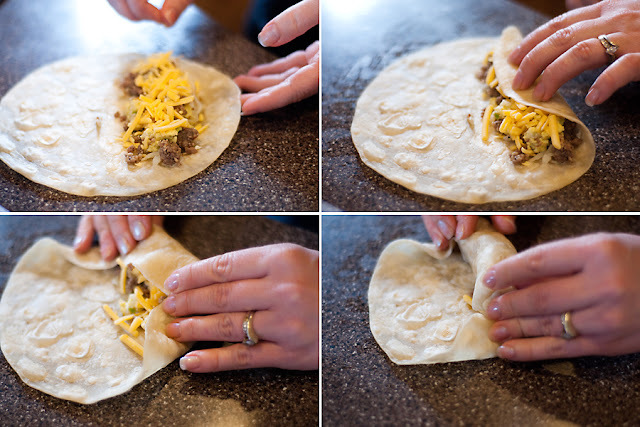 1. lay your tortilla flat. 2. spoon out some of your yummy egg mixture and then top with cheese. 3. fold the edge over. 4. tuck in the edges. Finally, place them in freezer ziplock bags and place them in the freezer! 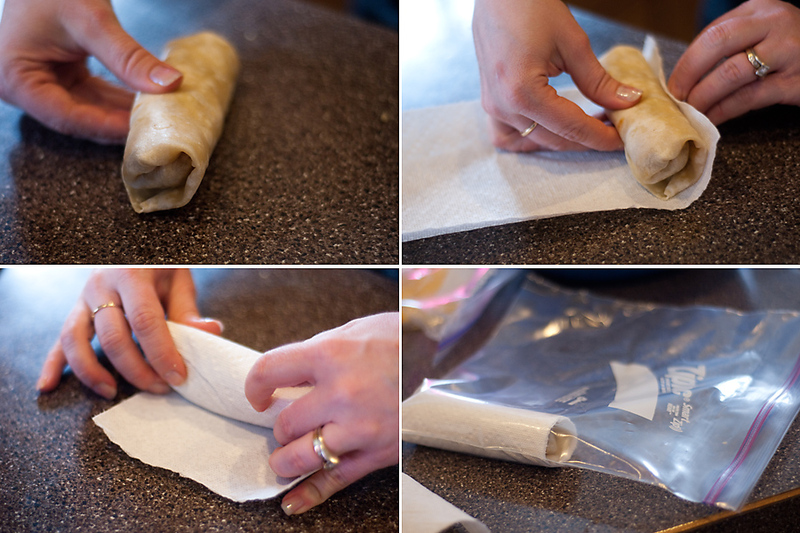 To cook: Heat in microwave for 1 minute, flip it over and do another 30 seconds. I really need to make more of these for the summer. I’m not cooking everyday! How many burritos total did it make? 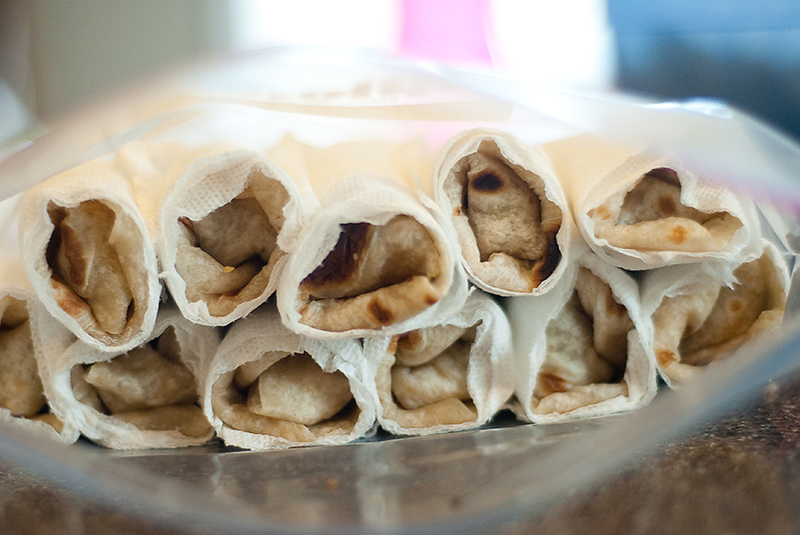 Just came across these on Pinterest….making them today! Great idea! thanks for sharing! Found these on pinterest too! We spent about $18 and had left over tortillas and hash browns. We ended up with 37 burritos! So yummy!!! Way cheaper and healthier than the fast food ones my husband was addicted to. Great idea! I’m always looking for easy breakfasts to feed the man in the morning, but this one will work for me too! Thanks! Love these! I just made them today. They are so tasty. Thanks so much for sharing! Frankie style. I liked the burritos especially the filling of eggs.